The Third Man (1949) is one of the most satisfying films ever made. From the moment it was released, it was appreciated equally by high-brows and the general public, working as a romantic thriller or as a complex work of art whose depths were as satisfying to explore as it was entertaining to watch. Time has only deepened the appreciation of a film which, through a happy coming together of talent, timing and luck, represents some of the best of what cinema can achieve. I visited Vienna last week, and took time out to locate several of the famed locations which appear in the film – the Prater fairground with its Ferris wheel, the Zentralfriedhof cemetery, Harry Lime’s apartment entrance in Josefplatz, and the doorway in Schreyvogelgasse where Lime (played by Orson Welles) makes his memorable first appearance. In preparation for this pilgrimage, and again afterwards, I watched the film, and tried to get to the heart of what makes it work so well. It seems to lie in the story, or rather in how it does not rely on the story. What I mean by that is that the film has a plot of almost classical perfection, whose ingenuities transfix us throughout, yet what the film does is constantly to elude the specifics of plot. What is going on is not what we see happen, but how the characters stand outside such circumstance even while they are propelled along by it, perhaps helplessly. 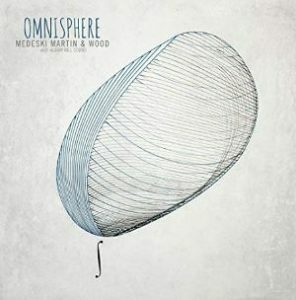 There is, moreover, a sense that everyone knows what is going on (albeit their own version of what is going on) except for the storyteller himself, Martins, the man who is trying to piece together the narrative for himself, and for us. But what is the story? In plain terms it is the tale of an American writer and Czech actress whose loyalties to a friend and lover are severely tested when he is proven to be a black marketeer (with a trail of child victims) and a murderer, all set against an occupied, post-war Vienna. But such synopses are for film encyclopedias. What is the real story of The Third Man? The starting point has to be the title. Why is this film called The Third Man? It obviously bothered David O. Selznick, the film’s American co-producer, of whom the film’s scriptwriter Graham Greene reported – not entirely reliably – that he felt audiences would be puzzled by the title and it should be called something like A Night in Vienna, a title guaranteed to bring the punters in. The third man is explained early on in the film, when we learn that when Harry Lime’s supposedly dead body was taken across the road there were two known people who carried him, but the porter at Lime’s apartment block is alone in saying he saw a third man (“There was a third man”), to be later murdered because of it. Is that all? Does the title simply point us to a phantom corpse carrier? There are other third men to be found. One is revealed by Holly Martins (played by Joseph Cotten), the writer of low-brow Westerns, who tells Popescu that he is writing a new novel – meaning that he is in pursuit of the mystery behind Harry Lime’s ‘death’ – and he is to call it The Third Man. It certainly helps up to think of The Third Man from the perspective of one of Martins’ novels. 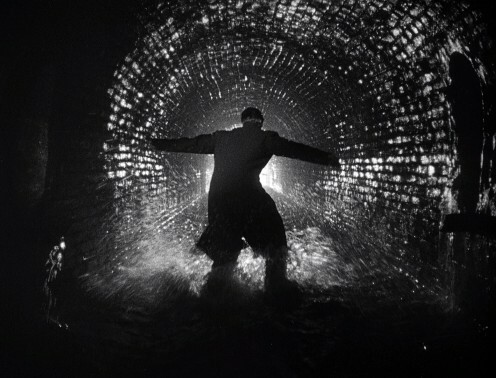 The Third Man is perhaps the quintessential British Western film. Martins – author of such works as The Oklahoma Kid and The Lone Rider of Santa Fe – finds himself living out one of the plots from his imagination, their moral certainties challenged by the complexities of reality. He is the stranger who rides into town, discovers a mystery, clashes with and spurns authority, hunts down the bad guy, and finally gets his man in a final shootout. Martins is also Graham Greene’s joke on himself – the writer of ‘cheap novelettes’ in pursuit of his story amid the ruins of Vienna, throwing together one more entertainment for the big screen which could reduce the writer’s art down to the barest essentials. Or perhaps The Third Man is a roman à clef whose subject is a real ‘third man’, namely Kim Philby. Charles Drazin, in his excellent In Search of the Third Man, puts forward the thesis that Greene based Harry Lime at least in part on his acquaintance with the British double-agent Philby, who would subsequently be exposed by the press as the ‘third man’ (i.e. third after the exposés of Guy Burgess and Donald Maclean). Philby, with whom Geene worked in British intelligence in Portugal during the Second World War, had lived in Vienna as a young man. There he had worked for the Committee for Aiding Refugees from Fascism and had helped persecuted socialists escape the civil war that broke out of the streets via the city’s sewers. He married a young communist, Litzi Friedman, in doing so giving her the protection of his British passport. On his return to London he worked for a news agency gathering information on Eastern and Central Europe and was recruited by Soviet intelligence. There are interesting echoes here of Lime – living in Vienna, working for a refugee office (Lime works for the International Refugee Office), escape via sewers, girlfriend fearing arrest as an illegal alien, the double life. Drazin also tells us that in Vienna Philby met with one Peter Smolka, who later became the Times correspondent in Vienna and interested Greene in his short stories of city life, including one which featured a diluted penicillin racket which Greene then adopted for his film scenario. Drazin speculates that Greene was aware of Philby’s double-agent life when they worked together in Portugal, though it was only in the mid-1950s that Philby was openly suspected of being a double agent and hence ‘the third man’ (this was finally confirmed in 1963). Philby could have watched The Third Man and seen his own story, at least metaphorically so, and the sense that Harry Lime represents somebody actual (the specifics of the penicillin racket help suggest it) haunts the film. But there is another story of a third man. The ‘Who is the third who walks always beside you?’ quotation from T.S. Eliot at the top of this post points to it. Eliot, in his notes to ‘The Waste Land’, says that he is referring to an account of the Shackleton Antarctic expedition, when one of the party of explorers “had the constant delusion that there was one more member than could actually be counted”. However, what Eliot is really referring to is the passage in the Gospels where Christ appears, unrecognised, to two disciples on the road to Emmaus. Jesus Christ is the third man. You used to believe in God. Oh, I still do believe in God, old man. I believe in God and Mercy and all that. But the dead are happier dead. They don’t miss much here, poor devils. 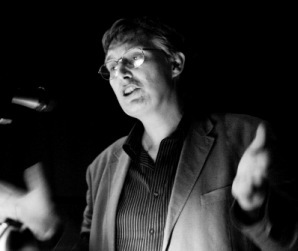 Greene plays with the paradoxes of faith throughout. When Martins is asked to give a talk to the British Council, the theme chosen for him is ‘The Crisis of Faith’, and when the porter tells Martins that Lime is dead he says that he is either in heaven (pointing downwards) or hell (pointing upwards). It is a moment of pure Greene mischief. And then of course Harry Lime is a man who rises from the dead. He is persecuted, betrayed in Judas-like fashion (“What price would you pay?” Martins asks Calloway when he finally agrees to help trap Lime. “They have a name for faces like that” says Anna, when she learns of this), and executed, before being buried again. 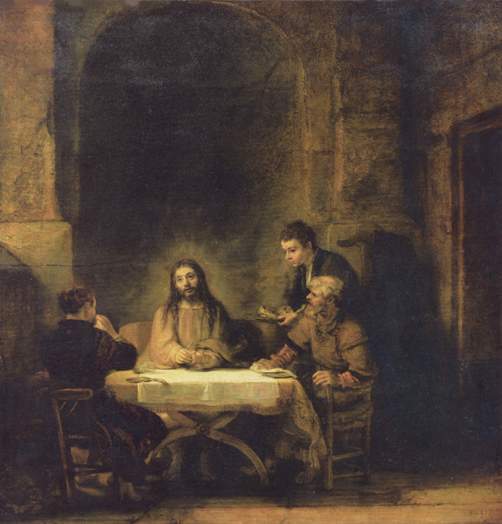 The Christ who appears to the two disciples at Emmaus has risen from the dead and crucially is not recognised, until he breaks bread with them. Lime is not recognised for the good that he may represent by any character in the film except Anna. But Harry Lime is not a good man. He is transparently evil. Although he may have religious faith (to which the film refers only obliquely) he makes no expression of it. He is no one’s moral superior. He simply acts for his own selfish ends with no other governing idea in his life that we are made aware of, and nothing virtuous about him at all save possibly some respect (it is hardly love) for Anna, even while he betrays her. Far from being Christ-like he is Lucifer-like, taunting Holly with his talk of victims by pointing down to the people below them from their Ferris wheel location (“Would you really feel any pity if one of those dots stopped moving forever? If I said you can have twenty thousand pounds for every dot that stops, would you really, old man, tell me to keep my money — or would you calculate how many dots you could afford to spare? Free of income tax, old man, free of income tax”). The most remarkable thing about The Third Man is that it makes Harry Lime sympathetic and his end tragic. Holly Martins does the right thing in helping the police capture him, but we do not admire him for it. Anna overlooks the evil he has committed (and his child victims) yet it is her decision to spurn Martins at the end of the film that we instinctively recognise as right. Her faith in Lime, her refusal to betray what she believes in, is revealed as the greater good. This taps into a deep human feeling, much as religion does – the yearning for the truth greater than the petty concerns of daily living. He whom Anna believes in is wrong, but her belief is right. This is the story, or at least the underlying moral, that propels The Third Man, the story that is in all the protagonists’ minds while they negotiate those immediate issues that the film’s plot presents to them. Their feet are on the Josefplatz, but their minds are on the road to Emmaus. Orson Welles dressing up simultaneously as Satan and Jesus. The Ferris wheel as an evocation of the Temptation of Christ, where the devil takes Jesus to a high place and offers him all the kingdoms of the world. 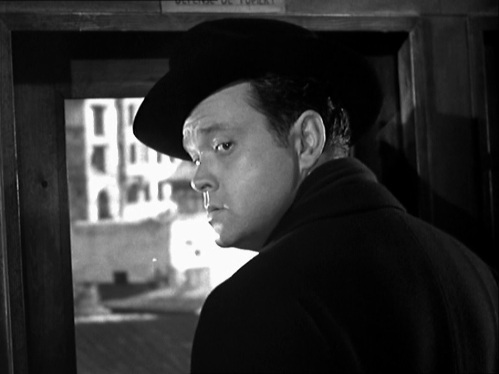 I wonder if Welles has had a hand in scripting this baroque layer of The Third Man. He surely must have been thrilled to play this role. Welles had no hand in scripting The Third Man, save the ‘cuckoo clock’ speech which was added at his suggestion. The Ferris wheel scene and much of its dialogue, including the figures as dots below and memories of a religious past are all there in Graham Greene’s original novelette on which the film was based. Welles’ various acolytes (such as Peter Bogdanovich) have spread the myth that Welles had some creative influence over the film, something which Welles did little to counter. 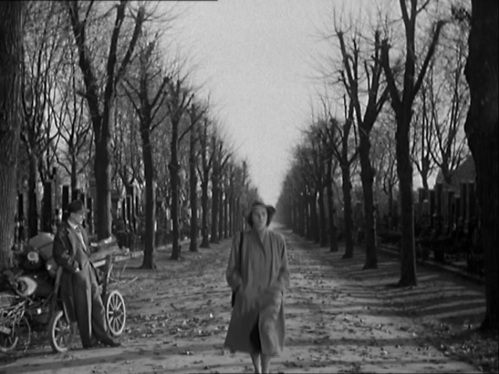 In reality, as Charles Drazin demonstrates in In Search of the Third Man, Welles did as little as possible during the filming, found his time in Vienna irksome (he particularly disliked going down the sewers – most of that sequence was filmed at Shepperton Studios), and made no suggestions to help with script or direction – bar the rather facetious cuckoo clock lines. The evidence suggests that he was anything but thrilled to play the role. It is fascinating to read Greene’s novelette after seeing the film. There are so many elements there that would make it into the film, yet the story is flat and underdeveloped, without noticeable resonance, while the film draws out those themes and depths, including the Biblical analogies, that make the film so rich. Most noticeably the novelette has Martins and Schmidt come together at the end, while the film develops her principled refusal to betray Lime and rightly has her spurning Martins. Greene came up with the title The Third Man (knowing full well its religious connotations) and the basic framework, but it was Greene the scriptwriter working closely with Carol Reed the director who turned a plain tale into a work of art. For me, the film’s creative genius was Reed, who made Greene rework his ideas until a proper film emerged, and who subtly handled wayward talents such as Welles to make them bring more to the film than perhaps they ever knew. 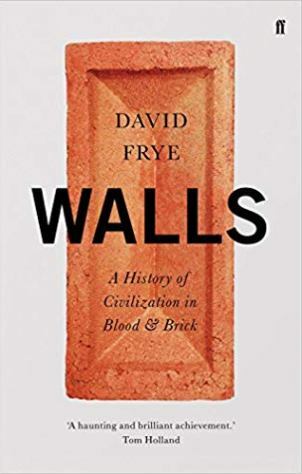 Fascinating text! I revisited the film at Cinemateket in Stockholm and wrote something about it myself (in English), see my website. Thank you also for meeting me the other day at the library. It was very inspiring talking to you and I hope we’ll meet again. 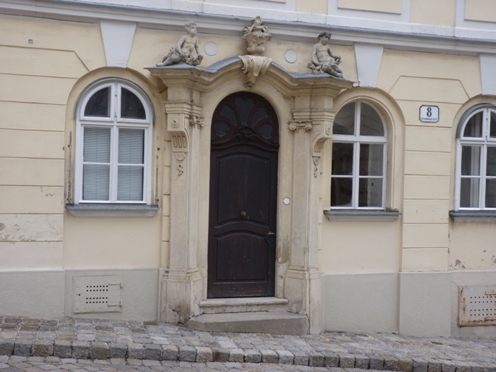 Vienna does not lose its appeal: in the new film by G. Tornatore (La migliore offerta, 2012) Virgil’ s (Geoffrey Rush) apartment is also in Josefplatz number five. A mere coincidence? Re-reading this post I’m surprised at myself for having left out two other ‘third man’/Christian associations – Christ as the third member of the Trinity, and that he was crucified alongside two others. Crabbins was the third man! I like that theory. It certainly merits further exploration. There’s definitely something suspicious about him, and clearly he’s not as clueless as he appears to be. Maybe anyone in the film can be the third man, if you look hard enough. I watched The Third Man for the umpteenth time last week, & was struck especially by the ambiguities of Harry Lime’s death by gunshot, ie does Holly shoot him or does Holly allow Harry to commit suicide rather than surrender him to the police? It is impossible to tell, as the action occurs off screen, & nothing is said of the precise nature of the killing. The obvious Catholic problems of the sin murder/self-murder are consequent on this, too, of course. I long wondered about the ambiguity of that ending. On balance I think Holly shot Harry. Had Holly handed the gun to Harry, Harry might well have shot him. Didn’t Harry still have his own gun, with which he’d managed to shoot the army man, Calloway’s adjutant (Bernard Lee)? Or had he dropped it in the chase? Anyway, yes, Harry might have been tempted to shoot Holly at some point; but perhaps they made a little pact whereby Holly would neither hand over Harry nor kill him, nor be killed by Harry? Harry then took his own life rather than face the music? Of course, Harry shoots Paine (Bernard Lee). So what happens to that gun? He could have shot Holly – and the final shot in the sewers when a figure comes out of the darkness is meant to leave you wondering whether Harry or Holly has survived. But, thinking about it now, it does feel that Harry needed/wanted Holly to shoot him. It’s what the Lone Rider of Santa Fe would have done: gun down the bad guy in the final reel. I’m going to have to watch the film again, and look out for the guns. My family mythology has it that Harry Lime was based in part on my grandmother’s adoptive brother, a German-born “free-lance information broker” named Wolfgang Forell who worked for the Allies for a time in North Africa and settled after the war in Vienna, where he supposedly made a small fortune in the black-market pharmaceutical trade and was thought to have known Greene somehow. I’ve always been curious as to whether that was the case. Fascinating. I’ve not come across the name Wolfgang Forell, but I’m no Greene expert. Hopefully someone out there might know more. 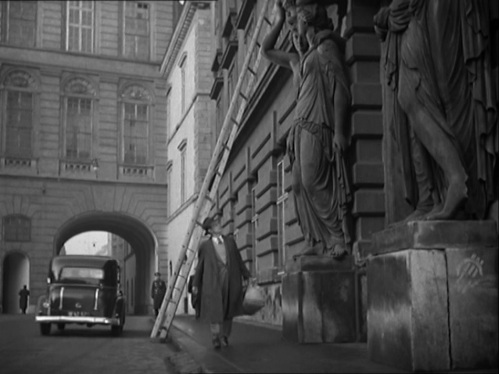 But note what Charles Drazin says in his book In Search of the Third Man: “Vienna was full of Harry Limes in 1948”. Yes, a cynical time and place, chockablock with desperate adventurers.